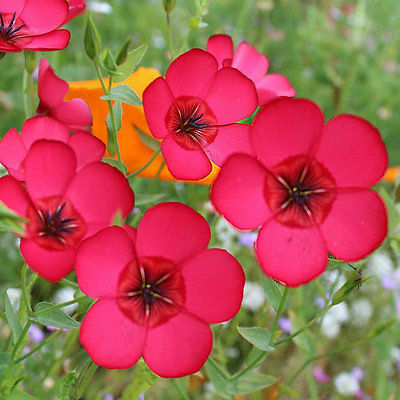 Produces a profusion of bright scarlet 1-1.5 inch summer flowers above 12-18 inch plants. Provides quick easy color in borders or over bulbs. Reseeds readily, but is never a nuisance.